How sweet is this? 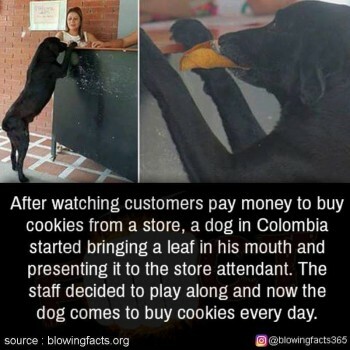 No word on whether they are giving her dog cookies or human cookies. Thanks to Blowing Facts for the picture!